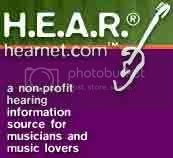 Kathy Peck is co-founder of Hearing Education Awareness for Rockers aka as H.E.A.R, a non-profit volunteer organization dedicated to preventing hearing loss and raising awareness of the real dangers of repeated exposure to excessive noise levels from music which can lead to permanent, and sometimes debilitating, hearing loss and tinnitus. 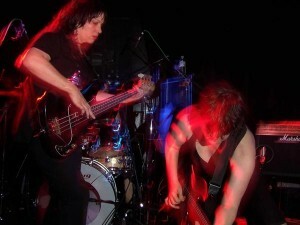 Kathy talks about her first band The Contractions, an all-female San Francisco punk band formed in 1979. She also discusses the creation of H.E.A.R after she suffered her own hearing loss when her band opened up for Duran Duran at the Oakland Coliseum in 1984. We talk about all the great work H.E.A.R. has done over the years, the operation to restore her hearing, and the class action settlement she co-led that resulted in wheelchair access and assisted listening devices at all movie theaters nationwide. Kathy also discusses her recent publishing company Monima Music that she started with her husband David Denny (who used to play guitar in the Steve Miller Band), and their work together on film scores such as Neon Sky and A Fierce Green Fire.